This dental malpractice lawsuit was filed by a woman in Montgomery County. It is the 188th medical malpractice lawsuit filed in Maryland in 2017, filed in Health Claims Arbitration on April 19. Plaintiff goes to Rockville Family Cosmetic & Implant Dentistry for a dental repair and implant consultation. Defendant takes images, does an oral exam, and completes pulp vitality tests. A few weeks later, the woman returns and meets with him. He delivers the temporary prosthesis. The woman tells him that it does not fit well but he tells her that he did the best he could. A week later, the woman has surgery done by defendant to remove two teeth and place implants. Defendant also grafts bone at the site of the implants. Defendant is unable to fully close the tissue. The woman calls defendant two days later with pain, a fever, and poor appearance at the implant sites. She sends him a picture and he calls a prescription in for a dental rinse and tells her that it doesn't seem that bad. Six days later the plaintiff returns for a limited oral evaluation. He tells her that the implants might not be holding well. He also tells her there is an infection in the implants and teeth and gums. He fits her with a permanent crown at different tooth and tells her that was the cause of her infection. Defendant recommends that the plaintiff consult with a periodontist for the infection. The woman sees defendant again the next week and two more times the following months. She continues to have pain and symptoms of infection. Three months after the initial implants, defendant tells her the implants have failed and recommends removing and placing new implants. The woman files this claim alleging that defendant dentist failed to properly diagnose her dental condition and form a proper treatment plan. As a result of his negligence, she suffers bone loss, loss of additional teeth due to chronic infection, extensive corrective surgeries, and significant pain. When an implant gets infected, it makes you question the patient was a candidate for an implant in the first place. 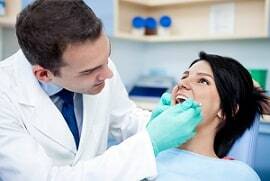 Many of these types of dental malpractice cases involve failure to properly diagnose and treat the infection by failing to prescribe antibiotics, schedule follow-up appointments until the infection was resolved, or refer to another provider who is better able to address the problem. If you have been severely hurt due to negligence of a dentist, we can help you get the compensation that you deserve. Call Miller & Zois at 800-553-8082 or get an online review.